We start banding Friday Morning at the SWAT site! . . . . . CHEERS! The SWAT site is ready and I almost have the CLDC site ready! After Banding Friday morning we will be attending the Allegany Nature Pilgrimage over the weekend and then banding again at CLDC Sunday Morning! Look for the photos and updates once I can get to them! 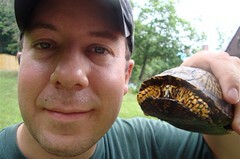 Young Naturalist J 9 years ago (when he was 7 years old)! This entry was posted on 27 May 2009 by mon@rch. It was filed under Bird Banding, Birds, Flickr, Kids, Nature . 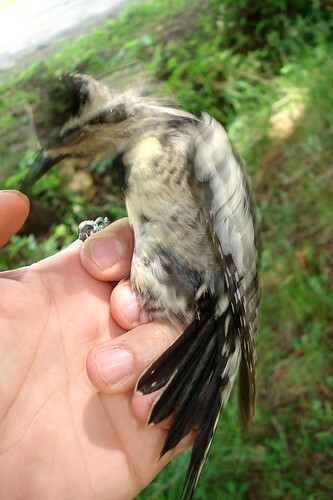 I hope banding goes well this season. Hopefully we may be able to join you at some point in time. Have fun banding. Young Naturalist J is so cute in that photo! That woodpecker/sapsucker shot looks painful! Yay, Tom! Wow, J’s been doing this with you for nine years? Tom, you are one lucky guy! I would love to be involved in a program like that. Handsome young man in that picture! It’s great to teach and have young people involved in nature! Wow! I thought J had gone in a time machine for a minute there-I’m glad you’re back to banding! Oh my YNJ – didn’t realize how little he was…nine years WOW!